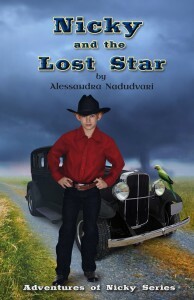 In this hilarious second book of the "Adventures of Nicky" series, Nicky returns to Saskatchewan where he finds himself ensnared in several mysteries at once: another treasure to be found, a romance, a parrot with a gift for languages and spy-craft, UFOs, ghosts and almost more adventure than he can handle. 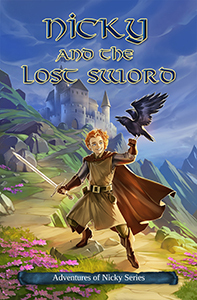 Now available in digital, print and audio formats. 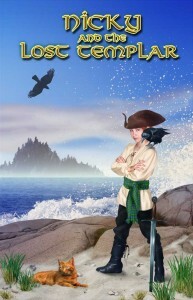 In this exciting and humorous first book in the "Adventures of Nicky" series, Nicky Reed spends the summer on Talon island in St. Margaret's Bay, Nova Scotia where he encounters talking ravens, the ghost of a Knight Templar who guards a fabulous treasure, a scheming villain, a magical mirror, a medicine woman and a mysterious one-eyed cat who maybe isn't a cat at all. Now available in digital, print and audio formats.